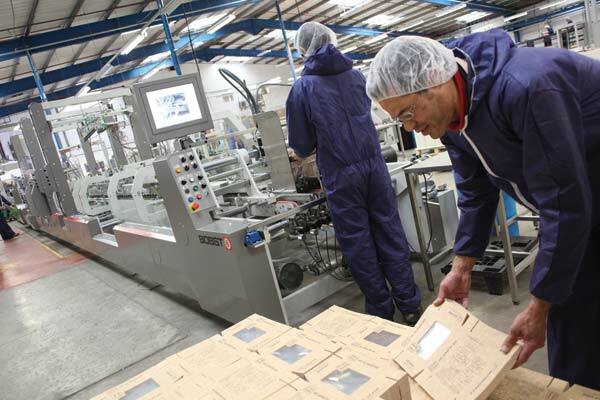 Alexir Packaging is a leading innovator in the development and manufacture of biodegradable printed folded cartons, using a wide range of natural fibre carton boards which are naturally compostable, and a range of compostable barrier boards specifically developed for the food industry. Alexir Packaging also leads the field with its continuing advances in biodegradable and compostable coatings for food packaging, in line with the food industry’s growing awareness of the environmental impact of the different types of carton board and plastic packaging. To this end, Alexir has developed a range of ‘totally’ compostable packaging, including a series of printed cartons and trays with windows that conform to EN13432, the code for products made of compostable materials, independently accredited through the Din Certco test laboratory. 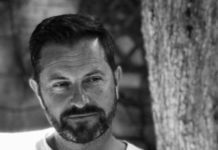 The Grocery Trader – Robert, what does your day to day role involve? I’m involved hands-on throughout the business. Besides being Chairman and MD of Alexir Packaging, I look after some of our sales. I’m also Chairman of the Alexir Group of companies, trading as The Alexir Partnership. GT – Do you get personally involved in developing new compostable packaging products and tailored solutions for customers? Yes, I do. 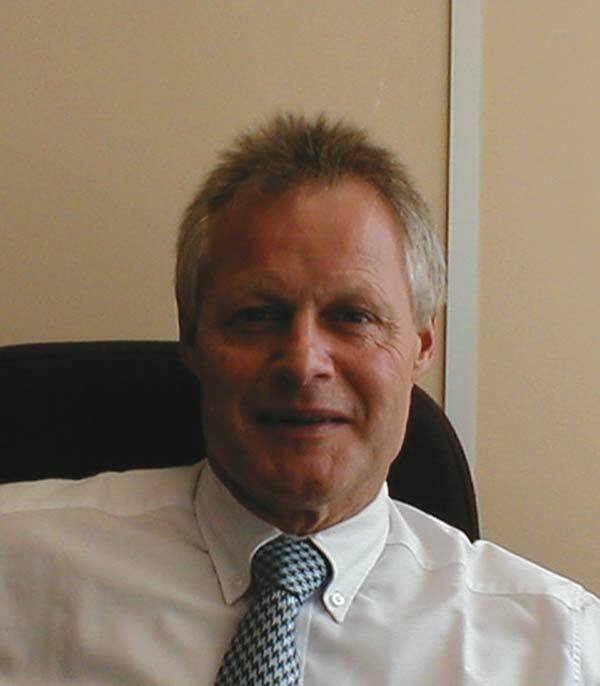 I’m involved in a wide range of our activities, and get to work with many of our customers. My biggest passion is NPD, looking at new ideas and ways of expanding the role of carton board. People forget trees are farmed, just like corn. GT – When was Alexir founded? Who owns it now? I founded Alexir Packaging in July 1989 with three colleagues. The present owners are me and my family, and 14 past/present employees. GT – What are the different companies in the group? We have four companies, trading as a partnership since January 2010. The four arms work together to provide a design to delivery solution. Alexir Design is a design and branding agency, specialising in construction and packaging engineering. Alexir Packaging is a carton manufacturer, based in Edenbridge: Alexir Contract Packing is in Uckfield, and contract-manufactures finished goods for retail and wholesale clients: and the fourth arm is Alexir International, also based in Edenbridge, which works for both Alexir customers and independent clients, and specialises in the design and supply of packaging solutions in material substrates including plastic, pulp, metal and board. The four arms are expert companies in their own fields, so our wide range of businesses means we can cross-fertilise our thinking. GT – How big is Alexir in turnover, employee numbers and output? 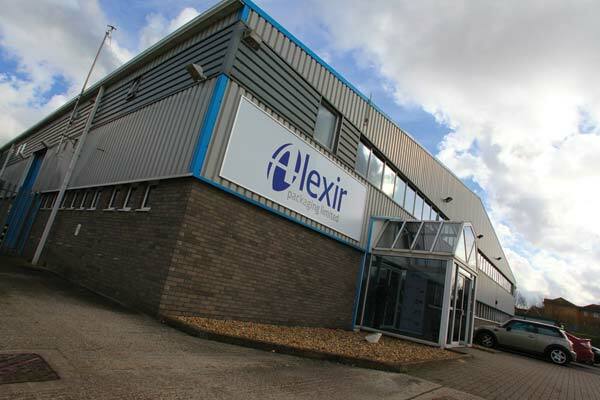 Alexir Packaging has a turnover of £10m and 89 staff. 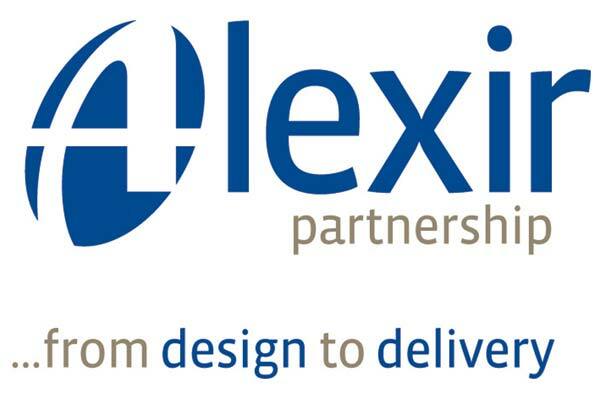 The Alexir Partnership’s total turnover is £25m. GT – Do you operate in any other countries? We export to Ireland, France, Belgium, Germany and the US. The export side is growing but currently contributes 5% of our turnover. Our AlexiPack® product is getting serious interest from as far afield as Australia and New Zealand. GT – What proportion of your UK packaging output is compostable? 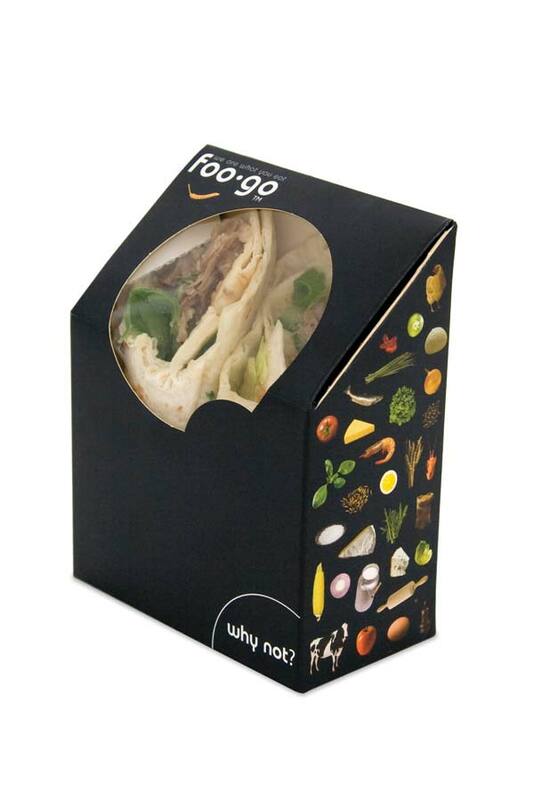 Virtually all our packaging is based on carton board, which has always been industrially compostable. That said, some of our packs have thin lightweight polymer linings to provide certain barrier properties, so the true figure is probably more like 85%. All our carton board comes from renewable resources, with more trees planted every year to offset it. GT – Can you explain the international standard for home composting? EN 13432 is the industry standard for compostable materials. The home compostable logo has been developed with WRAP and AFOR, who are looking to launch the home compostable logo as soon as possible. GT – How does UK adoption of compostable packaging compare with the rest of the world? The UK leads the way, but the greatest international interest is coming from Europe. Alexir is the leading innovator in compostable packaging, specifically in direct food contact packaging. GT – How are you organised to meet customers’ biodegradable packaging needs? We prioritise and promote renewable resources and compostable packaging as a matter of course, and are passionate about it. We are keen to operate differently and do new things with cardboard. We’ve recently developed a new range of packaging for the unwashed bagged salad market. 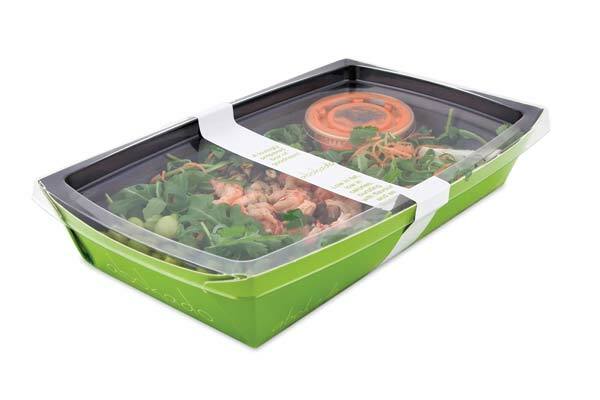 The Fresh & Naked unwashed salad range is now sold for the first time in a cardboard box that can be completely recycled. We’ve been pushing this form of packaging for years, and now we’re seeing a high level of success. With the support of our mill, we’ve also developed Bioptima™, a special coating which is fully biodegradable, allows direct food contact and is sealable. GT – What is the difference between compostable and ordinary carton board, in how long it takes to biodegrade? What is the cost difference? There is no difference between compostable and ordinary carton board, as all carton boards are produced from natural fibres so they both biodegrade. GT – What is the level of understanding in the UK food industry of the environmental impact of the different types of board and packaging that are available? 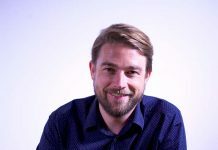 There’s a high level of understanding here and in Western Europe, but people aren’t generally willing to pay the higher price – generally 12% more – for biodegradable packaging, so the uptake hasn’t yet been realised. GT – How long does it take standard plastic window film and plastic pots to biodegrade? How long do ‘bio’ versions take? Normal plastic pots can last for thousands of years. Our ‘bio’ packs can have a window of poly lactic acid (PLA), a clear film made from corn. We’re also looking at packaging made with potato starch, which satisfies the EN standard and biodegrades in 12 weeks in industrial processing. GT – Can you talk us through the compostable packaging items in your standard products range? GT – You have developed various biodegradable and compostable coatings for food packaging. Can you tell us about these? Bioptima™ is a coating for carton board that was developed to enable the continuation of compostability for the carton while providing a moisture and grease barrier as well as heat-sealing to maintain product freshness. GT – Do you offer this technology to other companies, or is it exclusive to Alexir Packaging for your products? At the moment they’re exclusive to us, but we’ll share them with customers as appropriate. 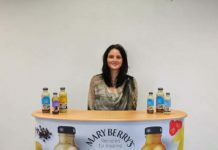 Alexir has 1% of the UK carton market and we can be active, flexible and responsive, faster than larger corporates. GT – Do you publish customer case studies? Yes we do, but they’re the tip of the iceberg. We have many that we can’t publish for reasons of customer confidentiality. On the opposite page you can see case studies for Fresh & Naked, Higgidy Pies and Paxo Stuffing. GT – If a carton is compostable, is there any risk of it starting to biodegrade before the end user has finished using it, for instance if it gets wet? The risk is no worse than with biodegradable carrier bags. If a carton is in the fridge or freezer it won’t decompose, the right conditions are required. GT – What is the ‘spec’ for a compostable product to qualify for the Home Composting logo? How do companies apply to feature it? Do you have to pay a fee? When was it launched? The official spec for Home composting is currently being developed. With the right conditions, home composting of cartons can take from six months or more in the UK, as the climate is cooler over here. We processed our application to EN13432, which is for industrial composting, with the UK Composting Association. There is a not negligible front fee based on the amount of products tested per year. GT – Where do you develop and manufacture your biodegradable printed folded cartons? It now all happens in our new factory in Edenbridge or with our partners in the UK and Europe. GT – Do retailers prefer products with ‘Home Composting’-approved packs? The natural reaction from retailers and consumers is yes. There are approximately 6 million households in the UK home composting, and this offers an opportunity to increase the volumes of compostable materials in the market and begin public education with the help of the new logo. In my role as Chairman of the industry body BPIF Carton, I’m actively pursuing a route to try and get home composting trials off the ground and get certification, trying to getting Britain to be even greener in time for the Olympics. GT – I’d like to ask you briefly about the fire at Crawley on 4 November 2010. Which parts of your business were affected, and what was the level of damage? The fire affected the whole of our manufacturing site: we lost all our manufacturing area and part of our warehouse, and there was smoke damage to the office. GT – Did you have to close operations at Crawley altogether during the recovery? How did you satisfy customer orders? We had to close Crawley completely because it was unusable, but we were in a temporary office within 12 hours of the fire and manufacturing with a partner within 24 hours. We had a disaster strategy in place with two partners standing by, and this was implemented immediately. GT – When did Edenbridge become operational? The first machine was operational on January 5: if you eliminate the Christmas break, we did it in six weeks. My compliments go to our employees and suppliers. We are virtually back to normal now. GT – What has changed in the way you operate as a company since the Crawley fire? I wouldn’t want to go through the last three months again, but opening the new factory made us review the operation and we’ve taken the opportunity of only transferring the best elements from Crawley. We have had to act quickly to find the right site with enough electrical power available. We now have a better environment, one of the most technically advanced manufacturing plants in Europe. GT – How do you liaise with external design companies? Alexir Design designs both independently and for Alexir customers. We have good relations with a lot of professional design companies, on the graphics and the technical side. 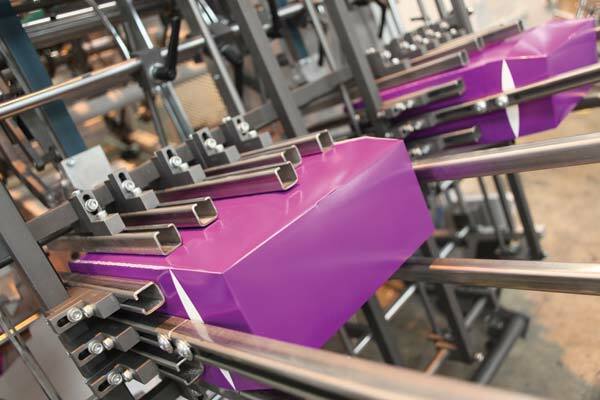 GT – How quickly can you arrive at a prototype for a customised packaging solution? Depending on the complexity, we can respond in anything from 24 hours to several weeks, if it involves tooling and trials. Our work on food trays has meant trials in the supply chain. We have a substantial level of knowledge in the business, which can help customers refine their products based on tweaking the packaging. If you have a genuine working partnership, it can make a huge difference. GT – Have you won any awards for innovation or for environmental excellence? We’ve won various Starpack awards for innovation, but we’ve not entered any environmental ones yet. GT – What new standard compostable products are you launching in 2011? Our NPD’s stalled because of the fire. We plan to roll out some new NPD in May or June. GT – You recently exhibited at Pro2Pac, alongside IFE. What were you doing there? The aim at Pro2Pac was to show the industry that Alexir is very much up and running again. We showed all our packaging and innovation over the years. We were also promoting the Alexir Partnership, and got some good leads from people moving from plastic to carton, and had interest in our AlexiBake® and AlexiPack® products, in particular. GT – Where do you see demand for compostable packaging, and Alexir Packaging’s involvement with it, going from here? Our involvement will stay strong – we will develop, and prioritise developing, more products for new markets. One such product is AlexiPack®: an original concept for chilled meal packs, it is designed to replace the PET tray, and offers a 67% reduction in plastic content. Its design allows full direct branding, removing the cost of labels, u-cards, printed film and printed sleeves. The recent recession has made everyone stop and think about packaging – most people won’t pay the premium necessary to met biodegradability standards, but we’ve seen a lot more interest in the last few months.